Couple Sits On Rock And Then Enters Surf On Maui Beach With Cloudsing Overhead. 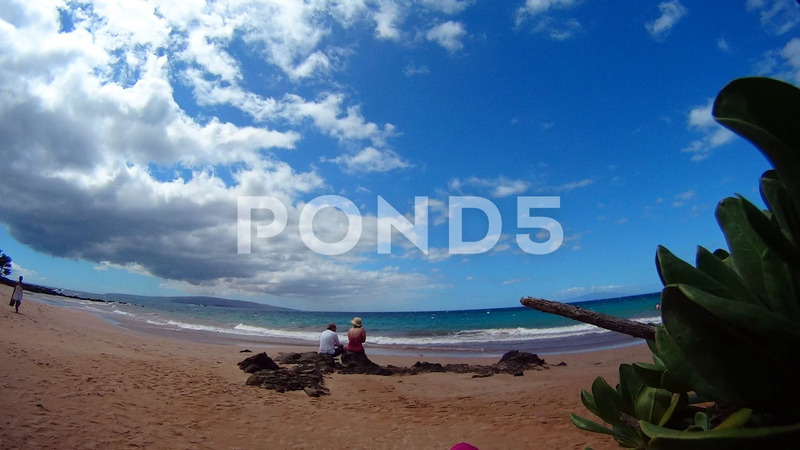 Description: Couple sits on rock and then enters surf on Maui beach with cloudsing overhead. Touristse along beach.